The prestigious Lavender Bed and Breakfast in Chiddlinghurst, England has a rich Tudor atmosphere, an enviously manicured lawn… And a deadly problem. A young, beautiful woman, Norah Travis, has been found murdered in one of the rooms with no witnesses and seemingly no motive. Detective Inspector Graham, a man with a singular drive, a penchant for tea and silent demons of his own, has been brought in to ferret out the perpetrator. Joining Sergeant Harris at the sprawling estate, the duo set their caps to solving a mystery that leaves them frustrated. It’s a ‘who done it’ of crafty design, with suspects on all sides and nothing clear cut. The proprietors, Amelia and Cliff, have jokes to share and almost nothing to hide, while their long time guest, Tim, seems shiftier. There is an ex-husband, a housekeeper, an old man and questions galore. But who could it be? It’s a conundrum. 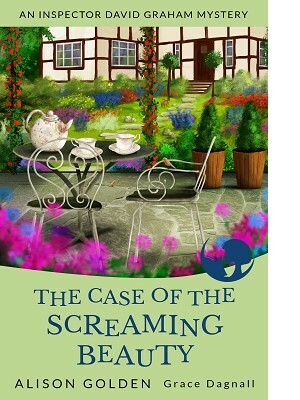 Screaming Beauty is a modern murder mystery with an old fashioned feel; a story for fans of Sherlock Holmes, Agatha Christie and CSI. Enjoy!